Continuing in the grand tradition of taking an older starighter and making a current production model. 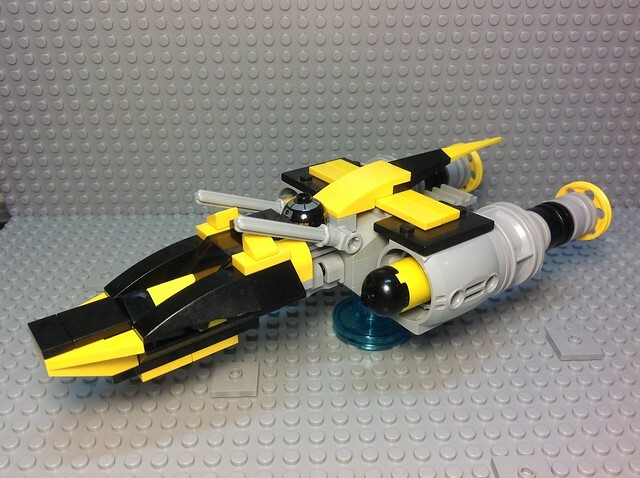 This is nimbler version of Cad Bane's Rogue-class fighter, the Xanadu Blood. 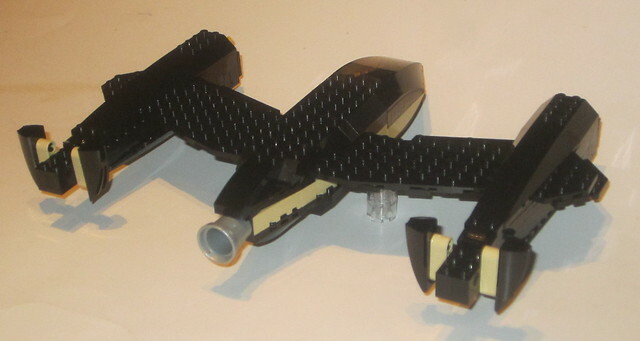 It has less firepower and no cloaking device, but is faster and more maneuverable. 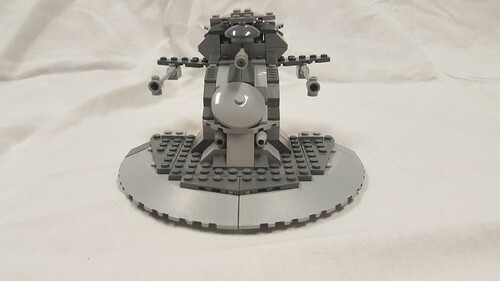 Can i post two builds from different builders in one photo? Lets keep this thread for the individual submissions by themselves to avoid confusion. 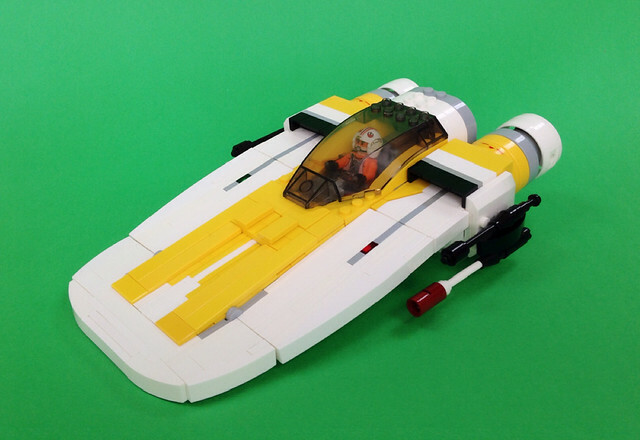 You're welcome to start a thread in the MOC Showcase forum to show them together if you want though, and you can include a link to that in your post here. Now in dealer showrooms the all-new Firespray 3100. Revisit the bounty hunters Jango and Boba Fett's legendary Slave I with the all new Firespray 3100. Smaller, lighter, faster and more maneuverable while still packing a huge punch with improved weapons and sensor mounts and a flexible modular interior. With galactic instability on the rise, the Firespray 3100 is the perfect system patrol, reconnaissance, perimeter defense, law enforcement and of course bounty hunter craft for today's discerning individual, corporation or government purchaser. 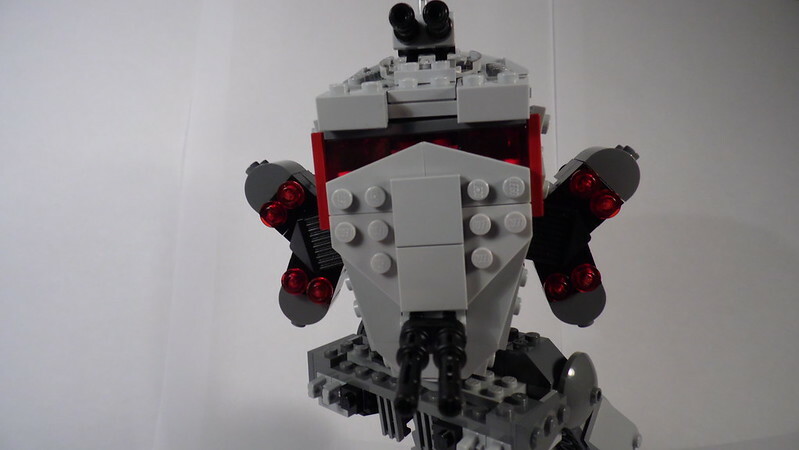 Check out the rest on Flickr including the retractable gun and good luck to everyone! Last edited by Trooper10 on Sun Jan 03, 2016 8:48 am, edited 1 time in total. I just registered as a user today, though I have read FBTB posts daily for about two years now. For my last bit of introduction, Thucydides is the name of a Greek historian about whom I learned recently; it just surged to the forefront of my mind for no apparent reason while I was thinking of a username and I chose to roll with it. 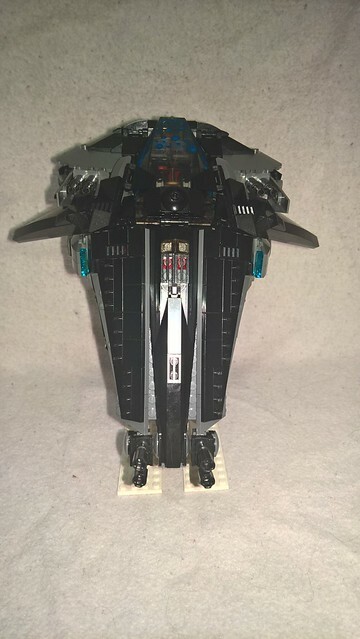 1] To "TheMisFetts": The change of color scheme evokes (to me at least) the Imperial V-wing that TLG had running a few years back...anyway, really sleek ship you have going on there. 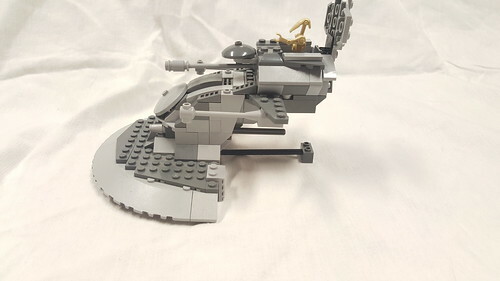 I only own one of the X-/Y-wing/Snowspeeder canopies (currently attached to a 9493, sheltering pilot Luke), but I might follow your lead and "borrow" it for an MOC sometime. 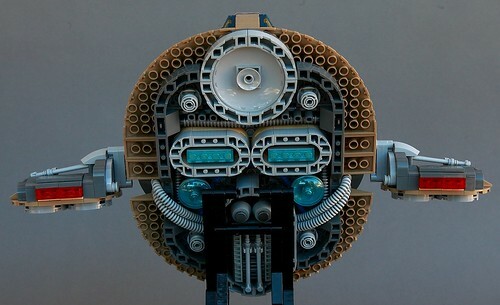 2] To "zoop": I keep seeing a face with glasses (the silver-tabbed flick-fires) and a mustache (engine grille) in your three-quarters view photo...also, great idea to slot BB-8 in there; adds a pop of color. 3] To "J3P7": Interesting that you sourced your pieces so carefully; I have hardly a clue where the vast majority of my parts reserve once resided. I can definitely see the N-1 in your Wasp, and the "stinger", as well as the thorough description of the background, is a nice touch. On a side note- sorry to nitpick- did you mean Queen Jamillia? Amidala, who is, despite being largely confined to some borderline-unwatchably lame scenes, my longtime favorite PT character (thus why I would even bother asking), died a Senator. 4] To "kevinmboots": I enjoyed seeing the ca. 2008 style stormtroopers seamlessly juxtaposed with the relatively new AT-DP operators. Great Wookiepedia-style story, too. Do you have any of the shadowtroopers? I have one from the dropship battle pack...his helmet has always kinda freaked me out a bit, being a bit too ghoulish for my tastes. 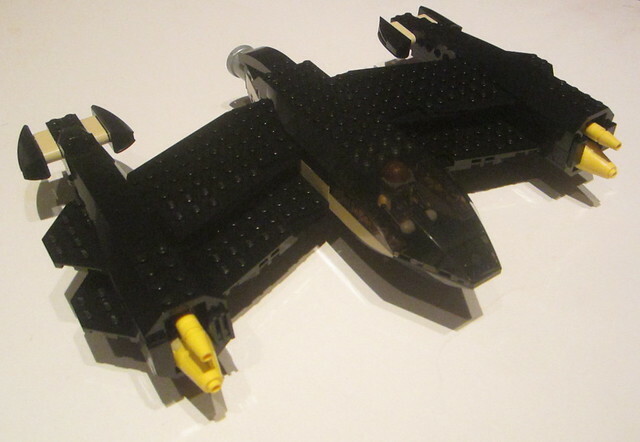 5] To "crazybirdman": The Rockbat reminds a lot of the MagnaGuard Starfighter, a set I sorta wanted back in the day but never got around to, but your vehicle is more elegant. Looks like a pretty swooshable craft. 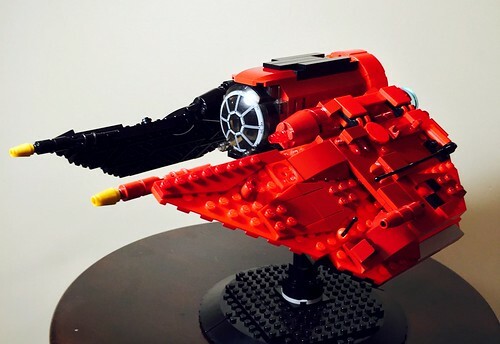 6] To "Trooper10": Awesome take on an iconic ship. 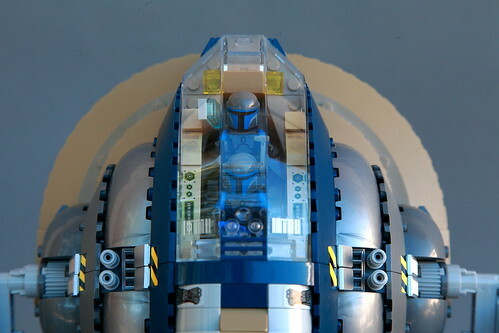 (The battle pack, Pre Viszla's Fighter, and the more recent Corporate Alliance Tank- all sources for warriors of Mandalore and sets that drew my interest but not my money.) I have to ask: where did you get those pearl grey rounded slopes and the (what appear to me to be) stickers? Wow! Simply stunning, Trooper. Really digging that color scheme! 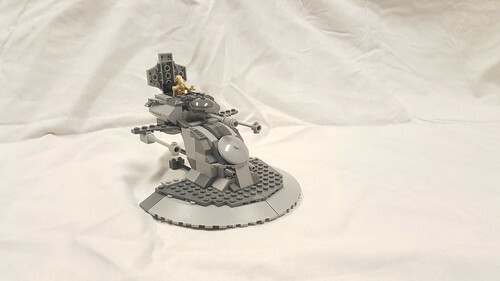 Hi FBTB, Here is my entry to the Star Wars Evolved Contest. 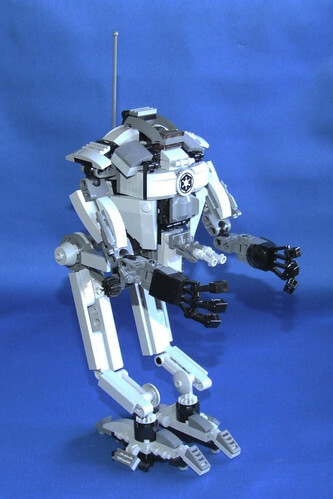 The AT-ST has evolved into a Personal Armored Walker with some new features like the Robotic Arms & Hands that can take on any job from clearing forests to rocky terrain, the arms are also fitted with Flame Throwers for eradicating Rebel Scum. I tried posting this morning, and I'm new so I'll try again. 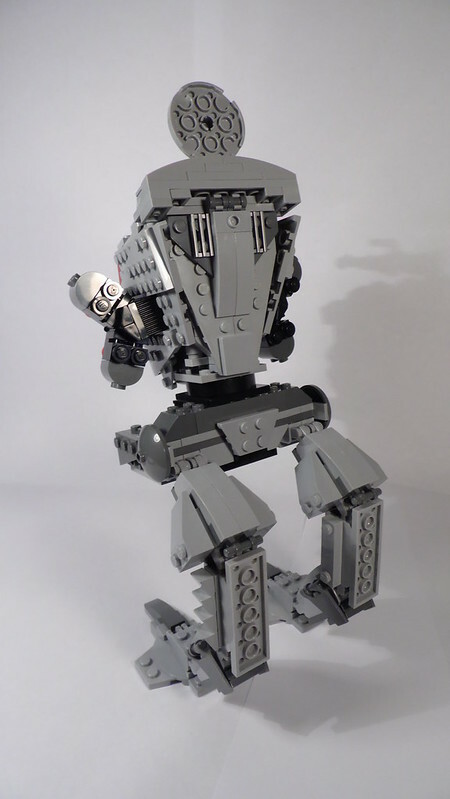 Following the battle of Endor, Kuat Drive Yards designers went about reworking their design for the imperial era AT-ST, after several weaknesses had been uncovered during the battle. 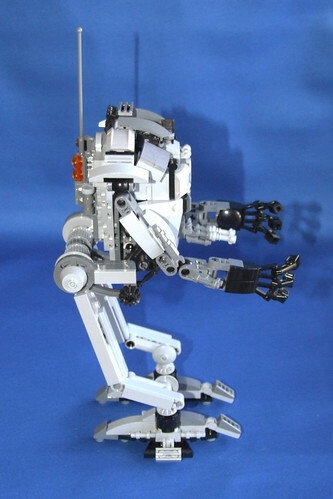 This new walker would pave the way into a new generation of bipedal attack walkers. 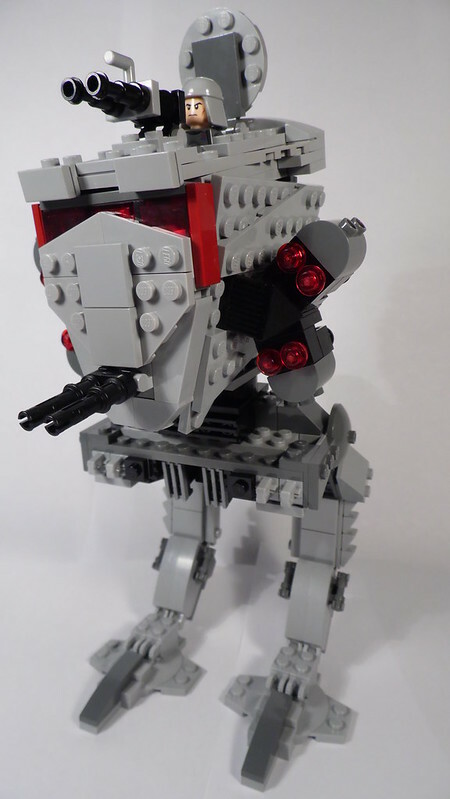 This new design was tasked with combining the nimbleness and speed of an AT-ST with the armour and firepower of the AT-AT. 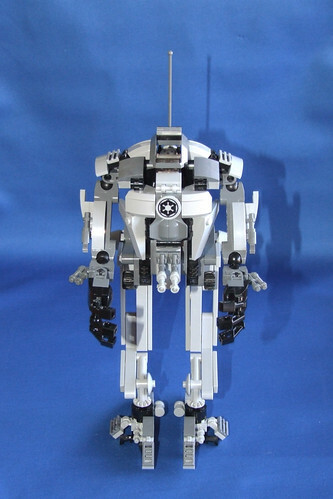 However after the fall of the emperor and the fragmentation of the Imperial Military this design never saw construction, until several decades later when it was uncovered by the First Order, who immediately put it into production. 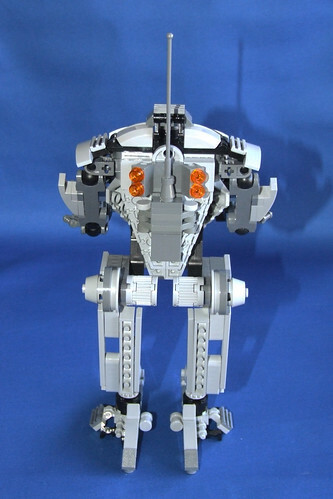 The walker is manned by a pilot and a gunner. 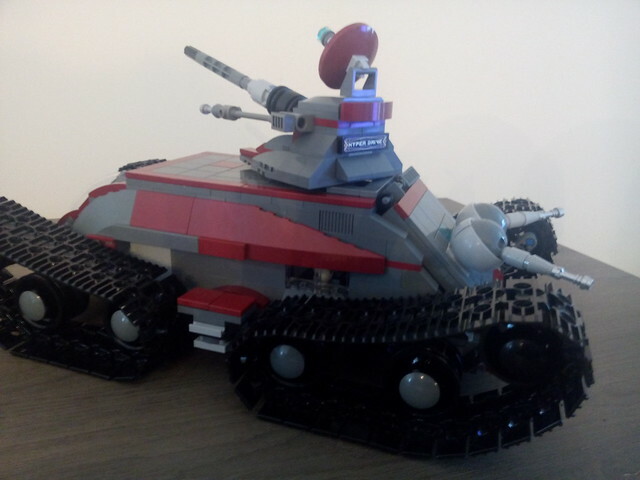 Its armament includes 8 missile banks, a duel mounted laser cannons and an anti-infantry turret. 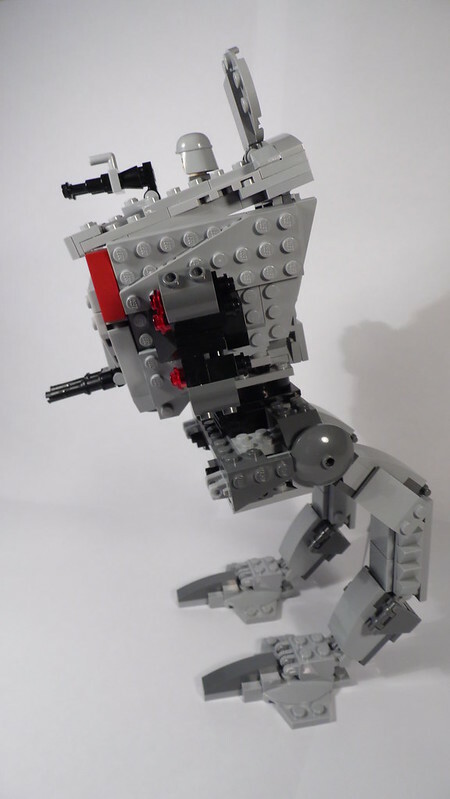 I like to present my entry for the evolved competition. 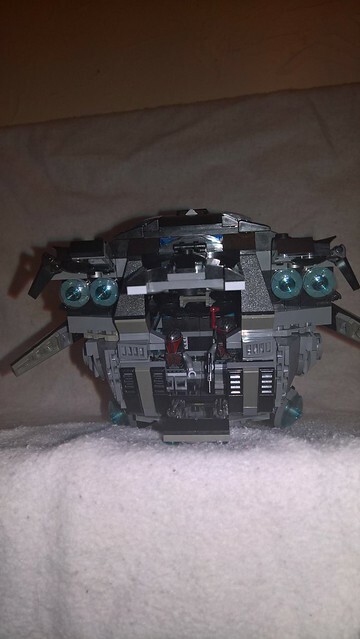 Here it is: my evolved mix from an AT-TE and an AV-7 Antivehicle Cannon. 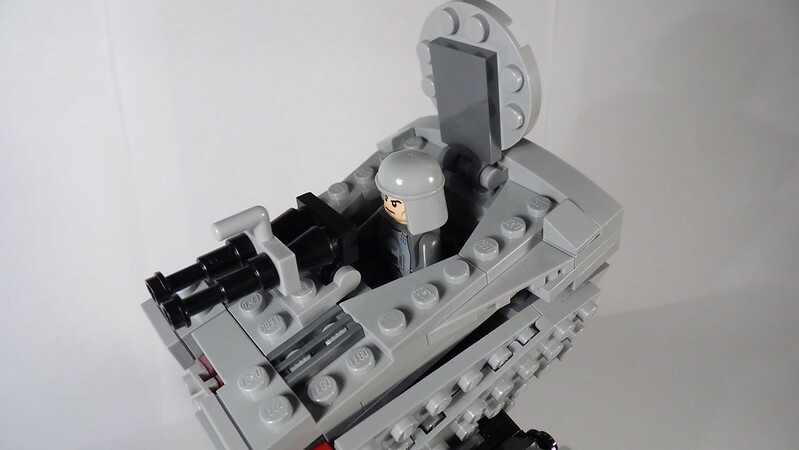 Is now a new republic fighter tank/troop transporter with mounted gun. I hope you'll enjoy it. Last edited by TomGilson on Fri Jan 15, 2016 12:41 am, edited 1 time in total. Some really neat stuff so far! Just a quick clarification: is the scope of this contest limited to designs that evolve post-ROTJ, or could we pick another point in the timeline? 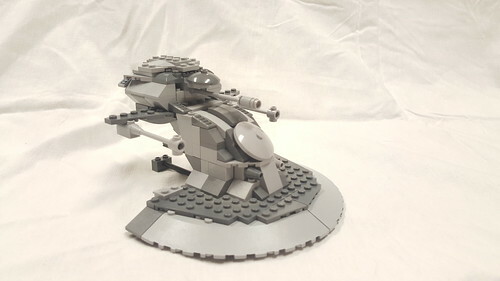 Could we, for example, build a vehicle used by the early Empire that's an evolution of a Clone Wars design? My Submission is the Firespray Phantom. 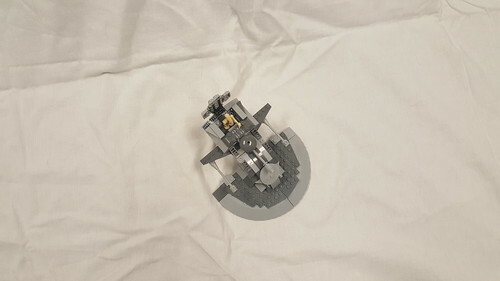 Kuat Drive Yards and Sienar Fleet Systems came together in a joint venture for a Long Ranged, Covert, Gunship Platform. 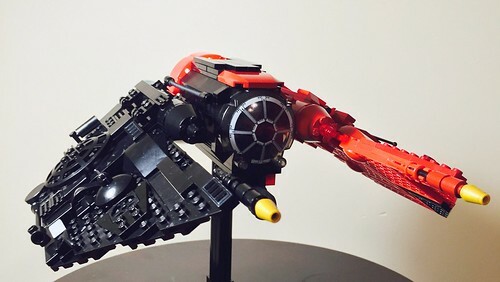 The Phantom is a marriage of the Firespray and Tie Fighter classes, meant to pack the punch of the Firespray along with the speed and maneuverability of the Tie Fighter. 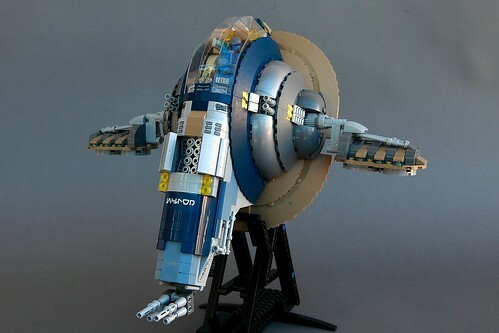 The Phantom comes equipped with shields, armor and a hyperdrive. 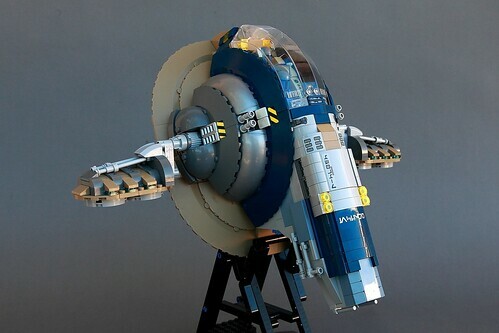 The weapons systems include a dual blaster/missile system and a ion cannon/blaster package. 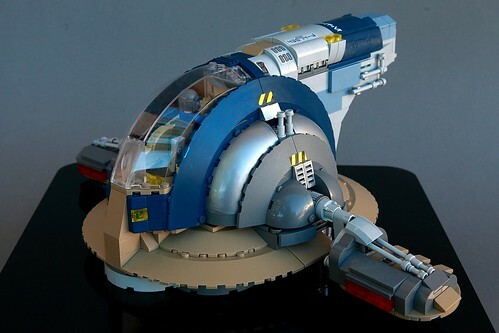 The Ion Cannons are directly connected to two dual generators on either side of the cockpit that can divert power to the cannons or the ion engines for a quick getaway. 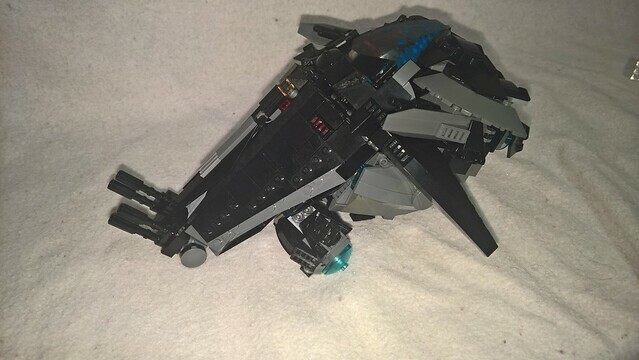 The Phantom seats one pilot but can transport a Squad, weapon shipments, bounties and other cargo. 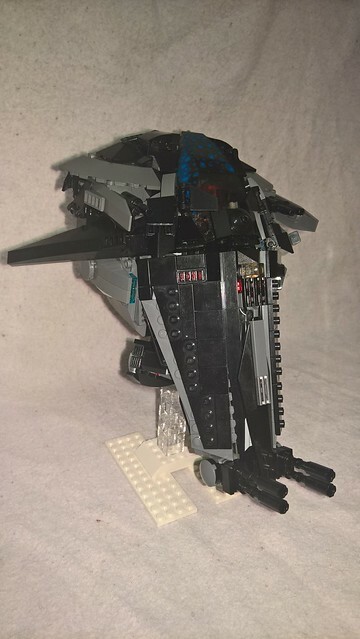 Due to the high cost however, it is rare to see a Phantom in service outside Mandalorian groups and other private corporate factions. 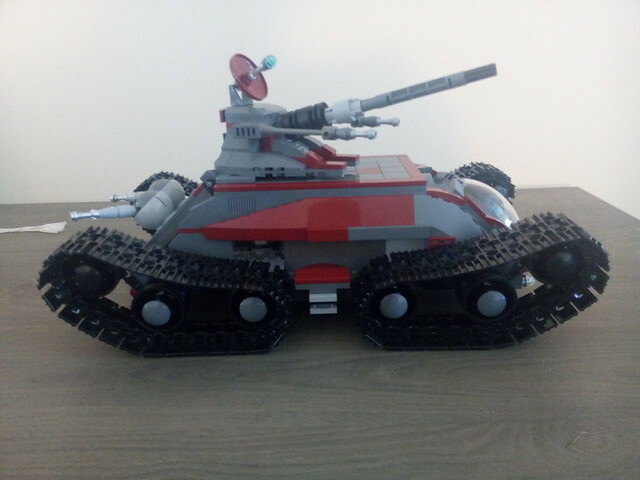 This is my custom Armored Assault tank. 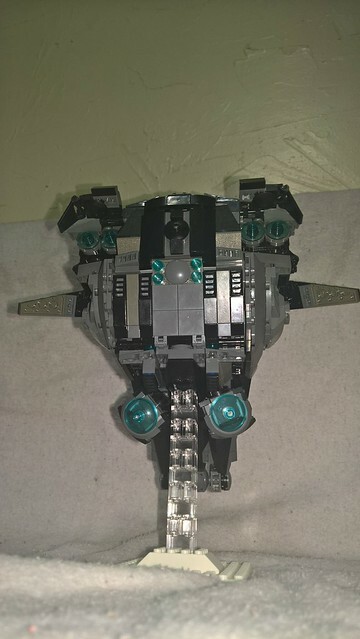 I have added larger side blasters, and switched the lower body blasters with missiles. 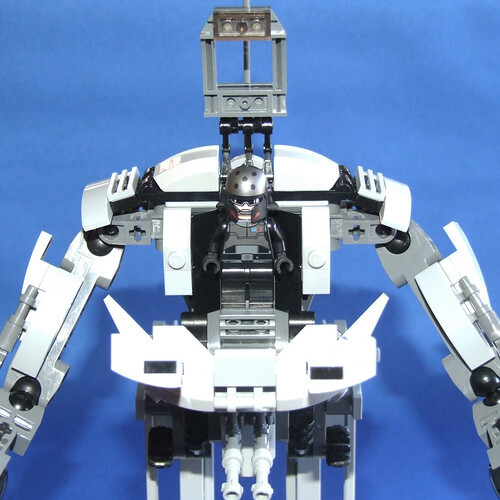 Personally, I think the Firespray entries are the best because reasons.